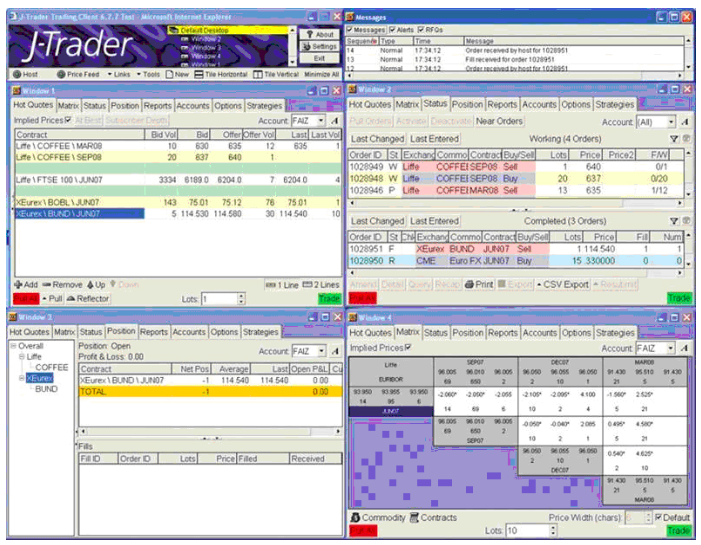 J-Trader, developed by trading software leader patsystems, is simple to deploy, easy to use and provides all the functionality you would expect of a successful and versatile front-end. It is the ideal all-purpose trading tool. Deployable on internet, WAN, LAN and leased lines, etc.